Dr Zvi Hochman is a Senior Principal Research Scientist and a Research Team Leader with CSIRO Agriculture and Food. He is based at the Queensland Bioscience Precinct in Brisbane, Australia. Zvi is a systems agronomist with expertise in managing climate-related crop production risk and in exploring productivity frontiers in dryland cropping. 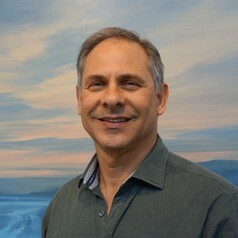 In addition to his work on the impacts of climate trends on crops, Zvi is currently researching how to best quantify and map the gap between actual and potential yields of grain crops in Australia’s rainfed environments and on indicators of natural capital in cropping and mixed crop-livestock systems.